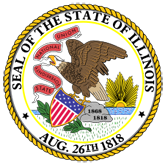 The State Water Survey of Illinois began the investigation of the waters of the State in 1895. While the Survey has laid special stress on the determination of the character of the waters from a sanitary standpoint, it has also often been called upon to make analyses of the mineral content to determine its character from a medicinal or commercial standpoint. In the various reports so far issued by the Survey only results of the sanitary investigations were published. It had been the intention to publish the results of the mineral analyses in a previous report but this had to be postponed until the present time when, in cooperation with the Geological Survey, it has become possible. This Bulletin, primarily, contains the records of the analyses made to determine the composition of the mineral residue with reference to the value of the water for manufacturing and medicinal uses, but there are also included the sanitary analyses, wherever such analyses have been made. 1. The mineral content of Illinois waters (20060927102149_ISWSB-4.pdf).